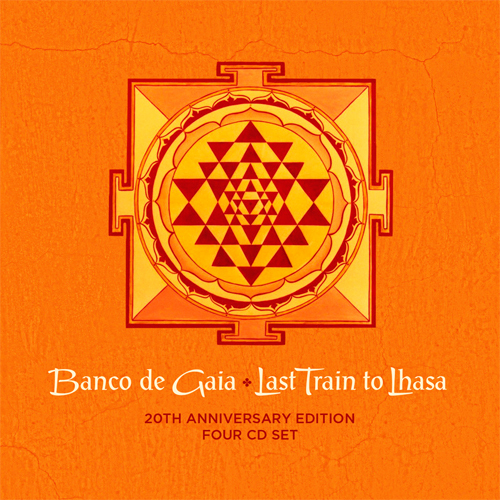 20 years ago Planet Dog released one of the all-time classic albums of modern electronica – Last Train to Lhasa – which reached #31 in the UK Album Charts. Misconstrued at the time as a Tibetan-themed album (it actually contains only one Tibetan sample), its groove-inflected, multicultural soundscapes helped to form the blueprint for much of today’s global electronica, with its influence evident today in acts such as Public Service Broadcasting. To mark the anniversary of its release, Disco Gecko Recordings have created a limited edition, physical-only (no downloads or streams) 4 disc box set, featuring previously unheard alternative and extended ambient mixes as well as a handful of fresh remixes by like-minded artists. Disc 1 features the original fully re-mastered album plus the previously unreleased Eagle, which was created during the album sessions, but for one reason or another never made it on to the album in its original form. Discs 2 and 3 offer a mix of previously released extended mixes (some from the original limited edition multi-disc issue of the LP) and a handful of unreleased mixes. Of the latter, the Duck! Asteroid version of Kincajou is particularly exceptional and a proper marathon, seeing the electronica catapulted into the outer reaches of the galaxy and clocking in at a stonking 44 minutes. Likewise the Where’s The Runway Dub adds 13 minutes of dubby electronica to White Paint before hitting its ecstatic climax and disappearing through a wormhole. Of the former, China (Follow the Red Brick Road) sounds like a bunch of monks getting stuck into their dungchens after a taste of Kool Aid and 887 (Darkside Return) adds 8 minutes of ambient explorations in deep space to the original. Disc 4 features guest remixers, each adding their own signature style and a touch of 21st century flavour: AstroPilot (Altar Records) is Ukranian progressive ambient producer Dmitry Redko; Bluetech (Waveform / Native State Records) is downtempo don Evan Bartholomew, whose mix of Kuos echoes 90s European techno-trance legends Air Liquide (Harthouse Records et al); Andrew Heath is a Stroud-based soundscape/ambient artist whose gorgeous debut album came out via Banco’s Disco Gecko label late last year; Andy Guthrie is an original member of Banco de Gaia, who worked on Maya and Lhasa before leaving to pursue his own solo career (working with the likes of Eat Static and Medicine Drum); alucidnation (Interchill Records) is English ambient maestro Bruce Bickerton, very much a favourite of the Big Chill Festival (RIP) crowd; Sonasha is sacred bass producer Jon Barron and Nick Manasseh (Roots Garden Records) is a pioneering UK dub producer, perhaps best known for the Manasseh Meets The Equalizer project on Acid Jazz Records.